It is cold out! Now you are thinking ‘yes, to ski it has to be cold’. Well where I am is -13 degrees celsius and waiting in line for 30 minutes to get a lift ticket felt like torture. It is a workout to just get dressed. Because it is so cold out there are 2 layers before the ski pants and then a neck warmer a hood, a helmet a face mask. And don’t even get me started on how hard it is to get your ski boots on. It is reason enough to change over to snowboarding! I am sure hoping that the awkwardness and lack of joy comes from it being the first ‘date’ of the season and over time my love for the winter sport will return since it is one of the few ways to survive a Canadian winter! 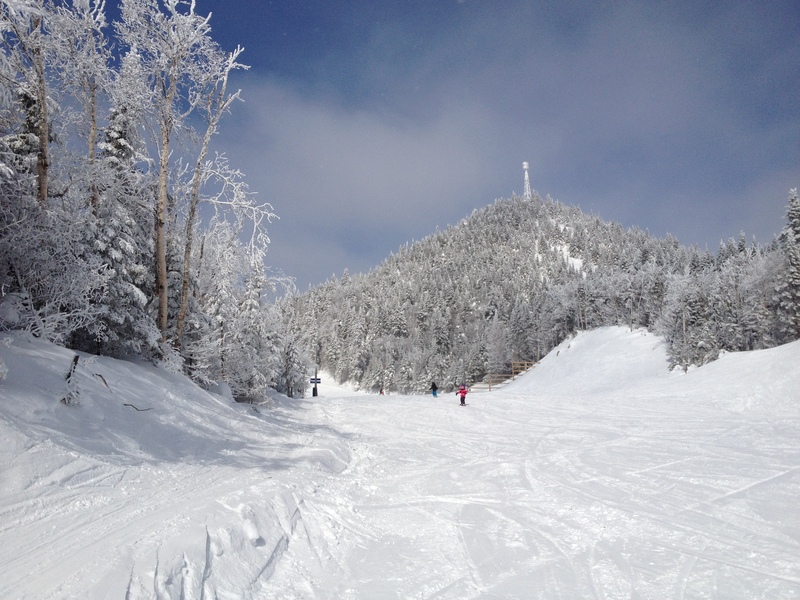 Watch for my next post which will be a review of Calabogie Peaks!